A healthily diet is vital to the success of a professional athlete of any kind. Because food is the body’s fuel, proper nutrition leads to better performance. Provide your body with the right nutrients and you’ll be rewarded with higher energy, more muscle and faster recovery. Volleyball players need the physical power to move with speed and agility, and to drive the ball where it needs to go. Muscle is part of the equation but your bones also need to be strong and healthy. Healthy nutrition including vitamin and mineral intake, as well as calorie intake, also help to reduce the risk of bone loss, stress fractures and breaks. Here are 5 foods that every volleyball player should learn to love. 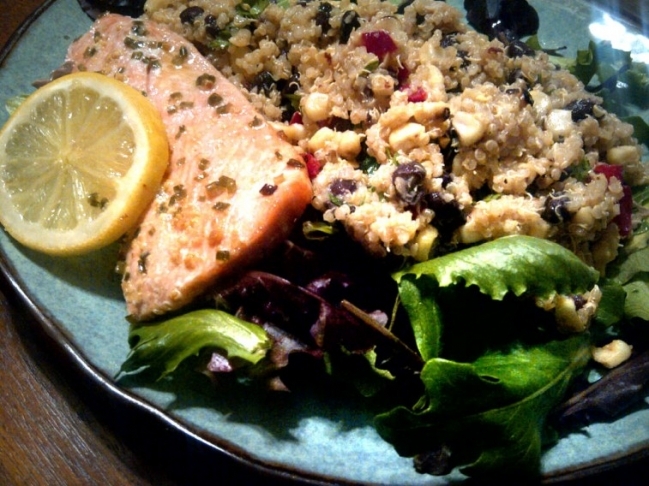 Salmon is filled with omega-3 fatty acids, which provide benefits for athletes. Research suggests that omega-3 fatty acids may exert an important influence on muscle function, helping to improve muscular strength, physical performance, and functional capacity. Omega-3 supplementation has been shown to reduce exercise-related inflammation and muscle soreness, enabling you to get back to the gym sooner. 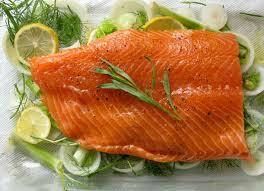 A 3-ounce piece of sockeye salmon contains more than 100% of your vitamin D. So eat up for your heart and your bones. 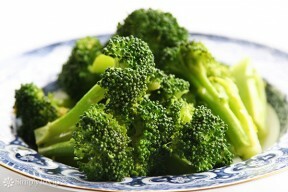 Broccoli is an excellent source of vitamin A, vitamin C, oleic acid, calcium and it is rich in fiber. Broccoli contains a high amount of potassium, which is important to maintain a healthy nervous system and brain function, and also supports regular muscle growth. This little vegetable is a storehouse of number of minerals and vitamins that people need for proper bone health. On the go? How about some cereal. A healthy cereal should provide you with a bowl full of good nutrition: low calories, high fiber, high protein and packed with vitamins and minerals to give your body a healthy start to the day. 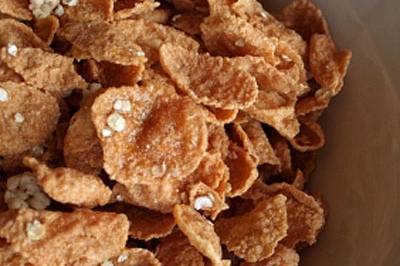 Certain cereals—like Kashi U Black Currants and Walnuts, Total Whole Grain, and Wheaties—contain up to 25% of your daily vitamin D. When you don’t have time to cook salmon or get out in the sun, cereals can be a tasty way to get your vitamin D.
One cup of yogurt can be a delicious way to get your daily calcium. 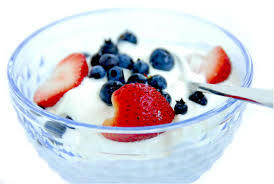 Greek yogurt trumps regular yogurt because it’s higher in protein content and much lower in sugar. Many fruit flavoured yogurts are filled with simple sugars, which simply won’t provide the lasting energy needed to get through your grueling workouts. A favorite alternate protein source, quinoa is great because it’s a complex carb, which offers a full spectrum of amino acids. While most grains are incomplete sources of amino acids (meaning they must be either eaten with other foods such as beans or legumes or served up with a protein source), quinoa is a standalone.